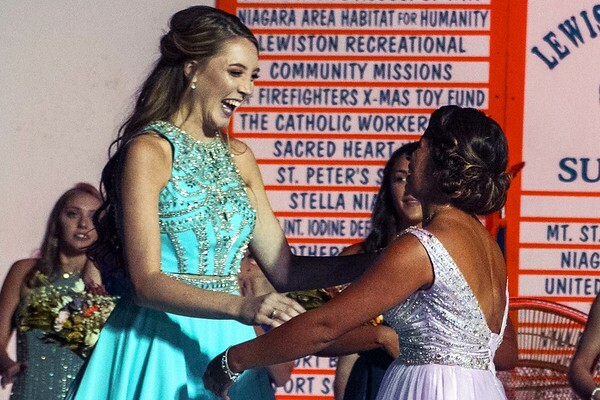 Jamie Hagerty realizes she's been named the 2017-18 Niagara County Peach Queen at the pageant Sunday night in Lewiston. Hagerty just started her freshman year at Niagara University and is taking classes in public relations and hospitality. She hopes to become a psychologist while pursuing her dream of becoming a Rockette.